Anagarika Dharmapala, Return to Righteousness: A Collection of Speeches, Essays and Letters of Anagarika Dharmapala, ed. 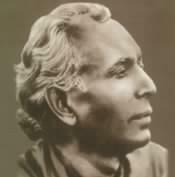 Ananda Guruge, The Anagarika Dharmapala Birth Centenary Committee, Ministry of Education and Cultural Affairs, Ceylon 1965. Sangharakshita, Flame in Darkness: The Life and Sayings of Anagarika Dharmapala, Triratna Grantha Mala, Poona 1995. This page was last edited on 18 July 2009, at 16:36.